Everybody knows that human beings now live much longer than they did in the past, and not only in the rich West but across the globe. We know too the reasons for this change: better health care and nutrition, less manual labour, access to education, growing prosperity and so on. We even know the economic and social challenges this ‘long tail’ presents, as humanity’s demographic profile changes. What we do not seem to know is what we should do with our lengthening lives. Spiritually conscious cultures often associate the last years of life with making sense, reconciliation and detachment from material ties. But, despite the continuing faith of millions, European society as a whole no longer sees religion as a way of interpreting experience. That was perhaps less important when old age offered a fortunate minority just a few years’ rest after a lifetime’s hard work, but when retirement can be 30 years or more in good health, new questions naturally arise. Having solved the puzzle of quantity (how to extend life) we are left with the problem of quality: what are these extra years for? Indeed, the challenges of quality—which range from pensions and social care to the status of old people—are the direct result of our success in increasing the quantity of old age. We cannot nor should we wish to turn back the clock: longer, healthier life is a moral good in any philosophy. So, individually and collectively, we must rise to the new challenge of making old age as good, rewarding and valued a time of life as any other. The arts are one area where new responses to the qualitative challenges of living with old age are being sought with encouraging results. This is consistent with the important place that art and culture have gained in society over recent decades, itself consistent with the better health, education, leisure and prosperity that has extended the human span. No longer seen as merely recreational or as a source of instruction, the arts are increasingly recognised for their potential in economic development, education, urban renewal and health. There are several explanations for this change of perspective on the part of politicians but the simplest may be no more than an acceptance by them of their electors’ interests. British society has long traditions of voluntary and community cultural activity. There are, for example, over 2,500 amateur theatre groups affiliated to the National Operatic and Dramatic Association (NODA), many of them with histories stretching back a century and more. Music is equally lively: the National Association of Choirs has more than 550 members. Although the organisational structures differ according to the practices of various cultural activities, there is a similarly high level of engagement in other art forms and through people’s informal cultural activity, for instance as painters, writers or musicians. Retired people make up a high proportion of those active in both organised and informal amateur arts, and of those who attend theatres, concerts, museums and galleries. The Department for Culture, Media and Sport reports that 77% of people aged between 65 and 74 years old, and 64% of those aged over 75, take part in the arts. Indeed, according to the same research, participation rates by people in both age groups rose between 2006 and 2012 by about 6%. Although the conception and methodology of such surveys can be questioned, the basic conclusion is certainly correct: retirement is frequently an age of high engagement in art and culture. Since the 1960s, but especially in the past 30 years, amateur arts activity in Britain has been supplemented by a growing body of professionally-led community arts and outreach work, which seeks to extend participation in culture beyond existing social groups. Because this work is largely financed by public bodies with non-cultural objectives, including local government, charities and health services, it often responds directly to social policy goals as much as to artistic ambitions. Although much of this cultural work is targeted at children and young people, there has been a growing awareness of the needs of an ageing population and more arts organisations now specialise partly or entirely in this area. Big Telly Theatre Company, based in Portstewart, Northern Ireland, exemplifies the best of this imaginative and committed creative work. Their Spring Chickens programme has involved scores of older people in the creation of performances in theatres, schools, community venues and public places, all celebrating the vitality of retired people and challenging prejudices about ageing. Similar work is done by theatre companies like acta in Bristol, Spare Tyre in London and Collective Encounters in Liverpool. Intergenerational connection is often a feature of this practice, for instance in the work of Magic Me (London), who use music, story and performance to bring older people and schoolchildren together. 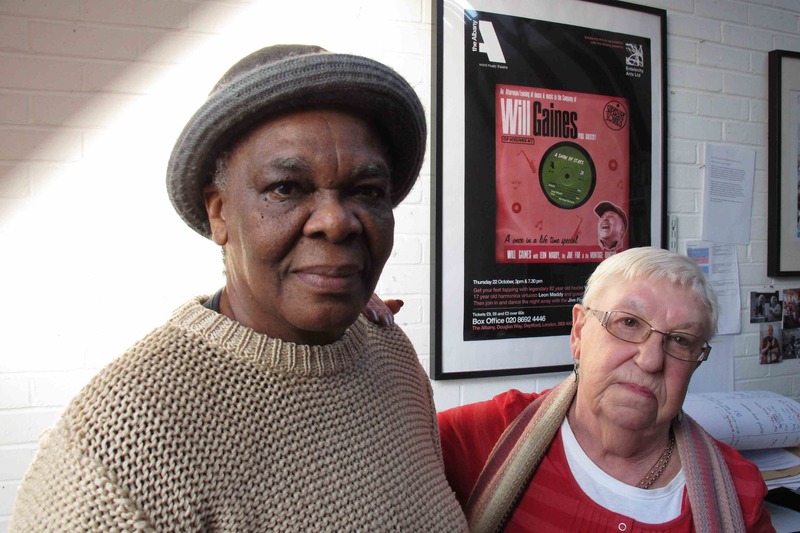 Other groups, such as Entelechy Arts, who work in the poorer districts of South East London, have reached out to care homes, working with very old people, including those who have multiple disabilities, dementia or are simply very frail as a result of age. In doing so they have found new ways of working that challenge expectations of these people with complex needs and the established practices of both care and arts professionals. The results, in events such as their ‘21st Century Tea Dances’, can be truly extraordinary in social, artistic and simply human terms. The outreach programmes of cultural institutions complement the work of specialist arts organisations, providing access routes from care centres, residential homes and community spaces into the mainstream cultural life of towns and cities. Thus London’s principal dance venue, Sadler’s Wells, has established the Company of Elders, which extends opportunities for ambitious dance performance to people in their 60s and 70s. The Serpentine Gallery (London), Ikon (Birmingham) and Sage (Gateshead) are among other venues that have prioritised work with older people. In Manchester, the city’s cultural institutions are becoming cornerstones of the City Council’s ‘Valuing Older People’ programme: Manchester Museum and the Whitworth Art Gallery have made older people a five-year priority in their strategic plans. The work has gained momentum and public awareness in recent years through the presentational opportunities offered by mainstream venues and by specialist festivals, such as Luminate in Scotland, launched in 2012. It has also steadily gained support from Arts Councils, local authorities and charitable foundations. Give… to offer help, time or knowledge freely to others. This list was a conscious simplification of complex human lives and social relations, modelled on the established public health campaign about eating five portions of fruit and vegetables a day, but even in this simplified form the central message about how to create and maintain a good quality of life, at any age, is clear. And, while these behaviours can be found across the spectrum of human activity and social life, it is striking that they are all central to the practice of amateur and community art activity. Many studies of the outcomes of participation in the arts have highlighted the benefits to people’s social and friendship networks, to physical activity, to learning and self-confidence, and to health and wellbeing in general. There is a risk that, in focusing on basic human needs and behaviours in a way that everyone can understand, the Foresight Report is seen to offer little more than common sense. It takes some courage to say simply and clearly that the foundation of good health and mental wellbeing is how we think, feel and act—or rather, that how we act can have such a profound effect on how we think and feel. But the value of this report, and of the five ways to wellbeing themselves, lies precisely in the simplicity that communicates so effectively some complex ideas supported by a large evidence base about health and life expectancy. It is that simplicity that has enabled the five ways to wellbeing to become influential in framing public health policy in Britain and elsewhere. For instance, in Liverpool, the Primary Care Trust and the City Council have used the idea to frame a Decade of Health and Wellbeing from 2010. If there are many ways in which people can enact the five ways to wellbeing, participation in the arts offers a particular value in respect of at least one: taking notice. Among other things, the creation of art involves a high degree of awareness of oneself and one’s experience, of other people and the world around. In combining imagination with skill, sensibility with craft, each artist brings her unique experience into a form that can be recognised by others. It does not follow that what is recognised will be shared or appreciated, but that is less important than the recognition of the artist as an individual with a distinct vision and the right to express it. In this recognition, the artist gains a form of agency through the practice of their art because it enables her to speak her mind—and not just her mind, in its rationalising mode, but her feeling, her instinct, her conscious and unconscious sense of what is and what could or should be meaningful to her. Humans invented art as a unique way of speaking the world into being. By choosing to represent experience in this way and not in that, by focusing on this particular interpretation, the artist seeks to remake the world in her own image, or at least according to her beliefs and values. This act is a form of agency that, once acquired, remains with us always, even if other powers—financial, social or physical—weaken with age. Intrigued by the idea that art’s agency might shape, at least in part, people’s experience of art in old age, I have recently been meeting artists in the third stage of life. Some have been painters, dancers or musicians throughout a 40 or 50 year career; others have come to art only in the freedom offered by retirement. The status of the professional seemed to matter little in retirement, when practice was less about earning a living. The key thing was about the serious intent that they brought to their art, whether that was performing, writing, making or something else. In most cases, that practice had just the characteristics of the five ways to wellbeing: connecting people, keeping them active and learning, providing opportunities for giving and, consistently, taking notice. But more than all that, vital as it is, was the sense that artistic creation enabled people to stay active in the world, to be not only the passive recipients of care or support, but people with ideas of their own, things to say, talents to admire and gifts to share. Art, in short, was a way to live a full life, even at a time of contracting capacities. It secured and expressed each person’s identity as an autonomous person in the world. Perhaps this is the meaning we should seek in our extended old age: to show that each moment of life has its unique potential for flourishing.